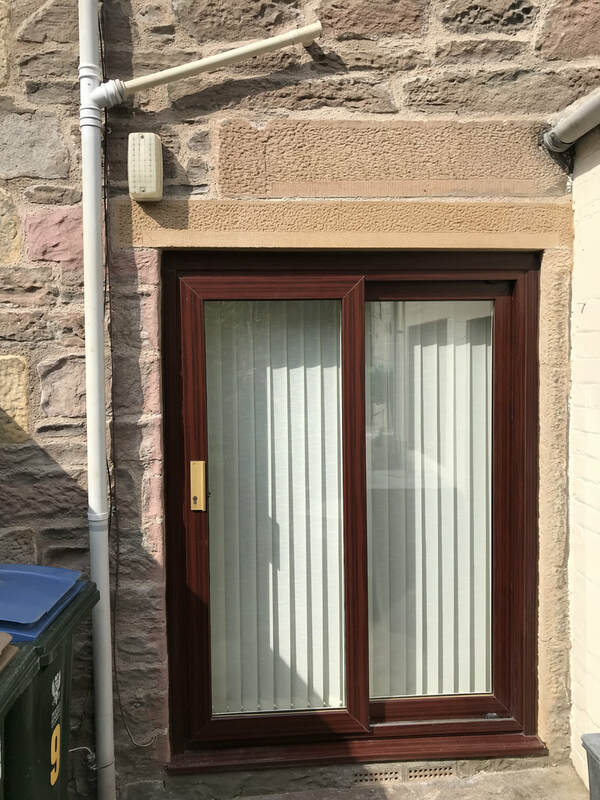 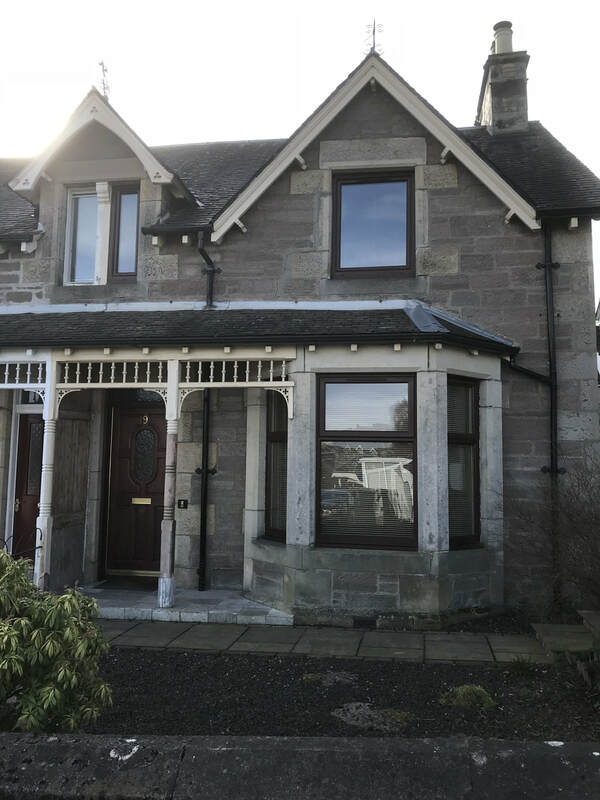 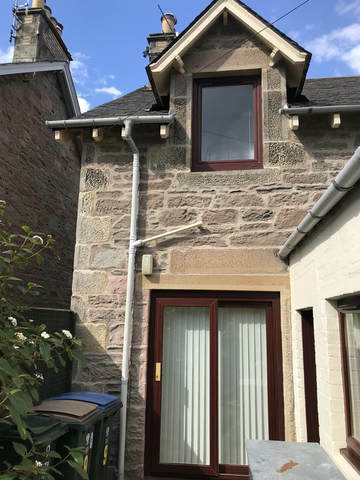 This job involved full lime repointing to the front, gable and rear elevations, and some lithomex repairs around the rear patio door. 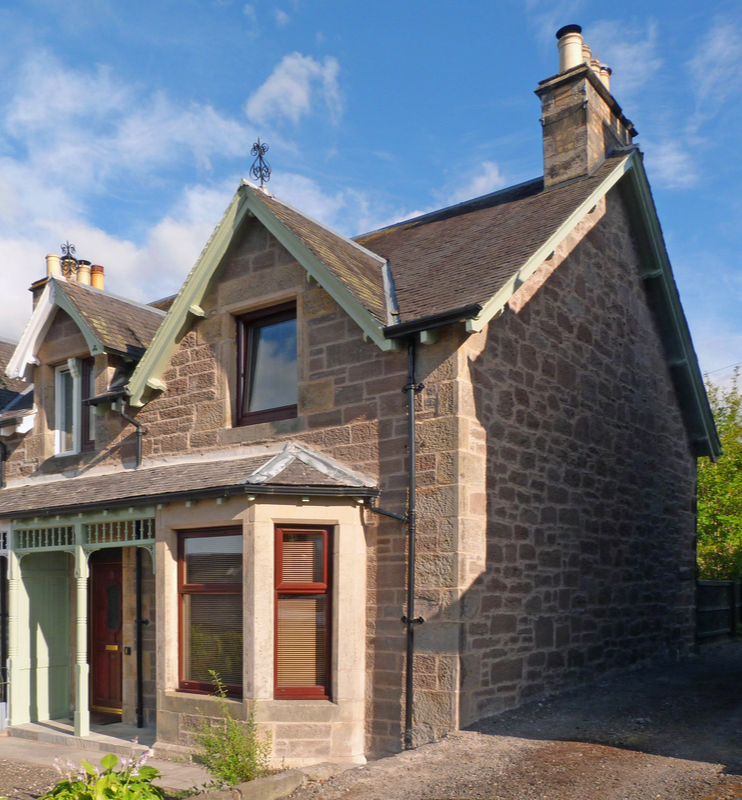 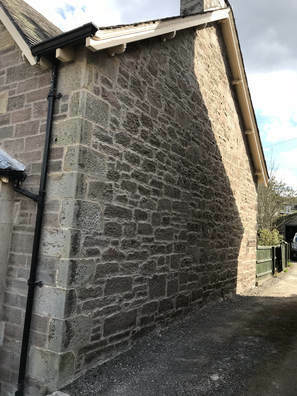 Over many years this house had been poorly repointed in a strong cement mortar damaging the soft sandstone. 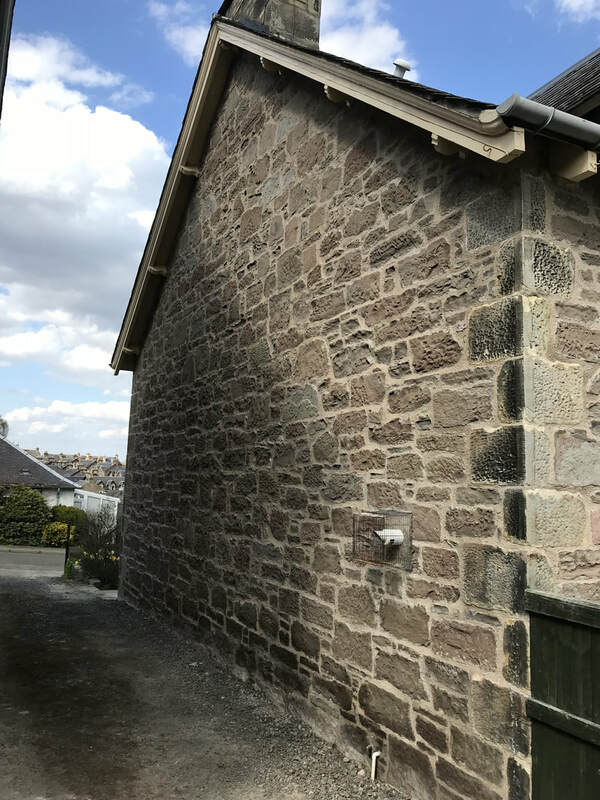 After careful removal of the cement we repointed it in a mix of NHL 3.5 hydrated lime and sharp sand to give a breathable, attractive finish. 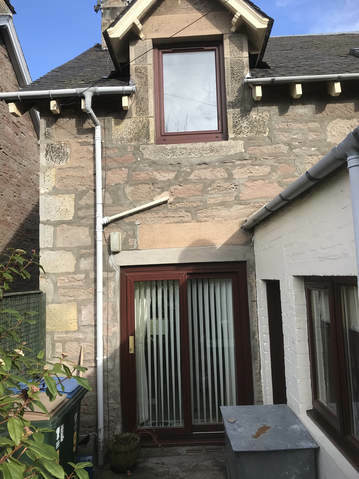 At some point in the past the rear window had been replaced by a patio door. The building work had been poorly executed. 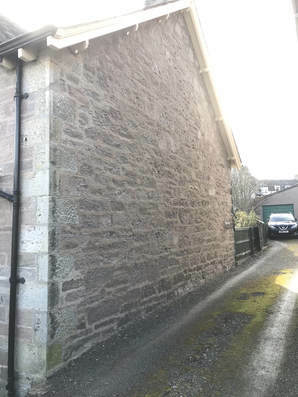 The new concrete lintel had dropped causing a crack to appear in the cement pointing above. 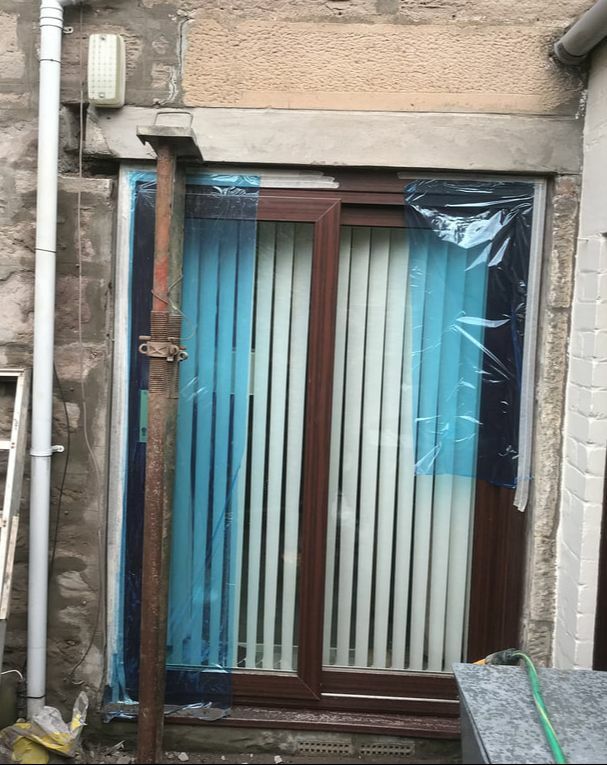 After stabilising the lintel we removed the cement pointing and the cement coating off the lintel and down the sides of the door. The wall was then repointed in lime and the lintel and the stonework at the door ingoes coated in colour matched Lithomex and tooled to match the existing stonework.